The interview in the Guardian with James Lovelock on his prediction about climate change, ends with this sentence: "Enjoy life while you can. Because if you're lucky it's going to be 20 years before it hits the fan." Even though the whole interview creates controversial emotions, that semi-pessimistic declaration for getting ready to the worse is a great starting point for us. When we are living in a scope of time; it is really hard to distance ourselves to see what really goes on. Even if you can position yourself somewhere you can get a wider perspective, there is a lot to consider and that multi frequential data distorts our perception for sure. Because of that, mostly we need to create a fragmented understanding of situations, that are mostly models of reality in the form of abstract conceptions. 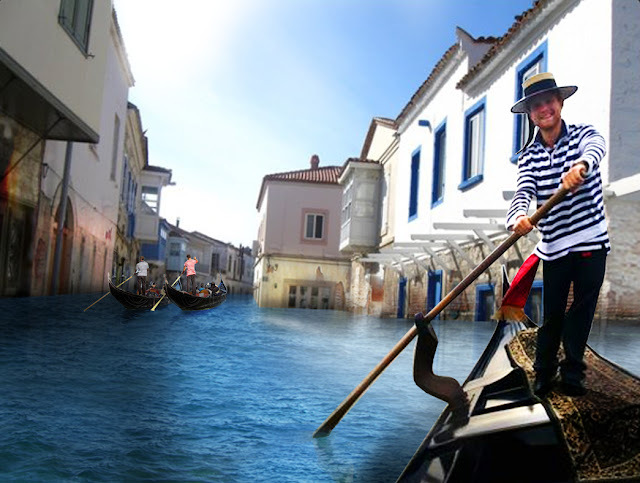 All of them become real for us again when we, for example in the topic of climate; physically experience the unusual weather conditions or floating sea on the streets. As Lovelock and many other scientists stated we had already passed the point of no return. Bomb explosion had occurred long time ago and we are partying in the mushroom cloud. Rather than trying to find ways out; just except the inevitable and make a brainstorming on that. And let's forget about vague conceptions and think on a real space and its existing qualities. 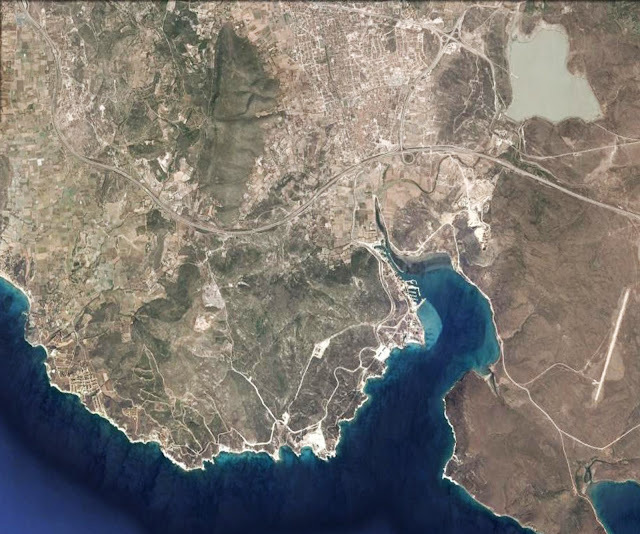 We decided work on Alaçatı, Izmir which is an old town on the west coast of Turkey. 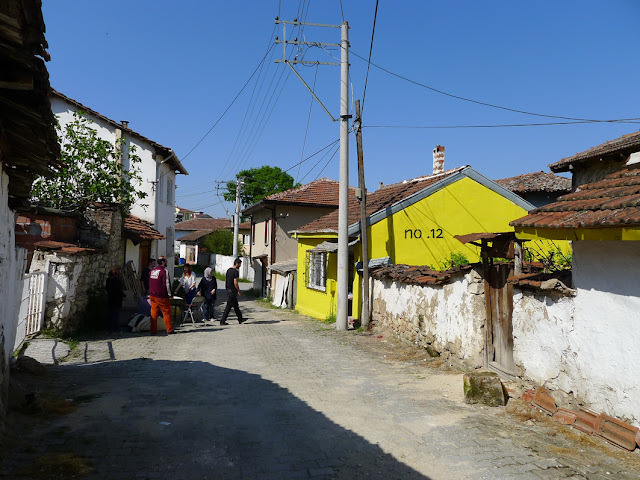 This small town with a history goes back to ancient times now turned into a holiday resort for exclusive global tourism. A decision in the local governance of the town started to transform it fifteen years ago, and now the holiday hot spot has a high degree of visibility and prestige in global hip-multimedia. 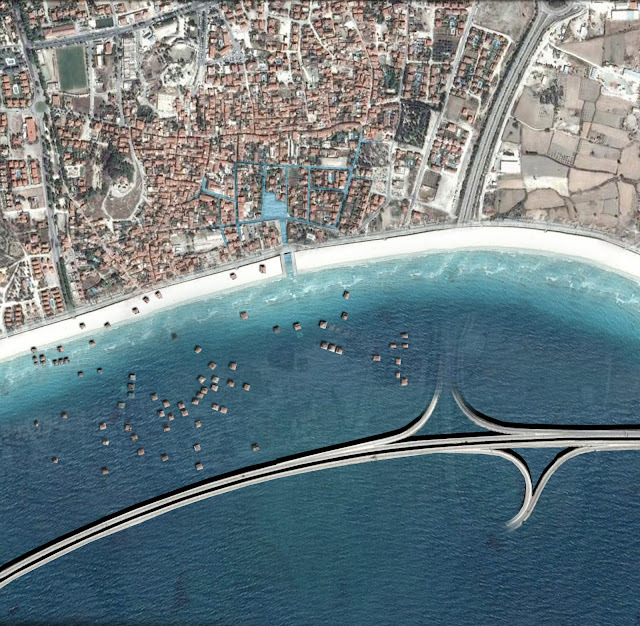 If you listen to the stakeholders of this change, they always tell you a story of virtue; how they wanted to re-create the essence of Alaçatı and bring a contemporary lifestyle quality to this town that has a great opportunities for wind surfing and good connection with the international airport of Izmir via highway. Some modest well designed entrepreneurial interventions, opened a way of other high budget investments in time and with the interest of upper income group people, the price of property and land increased extremely. 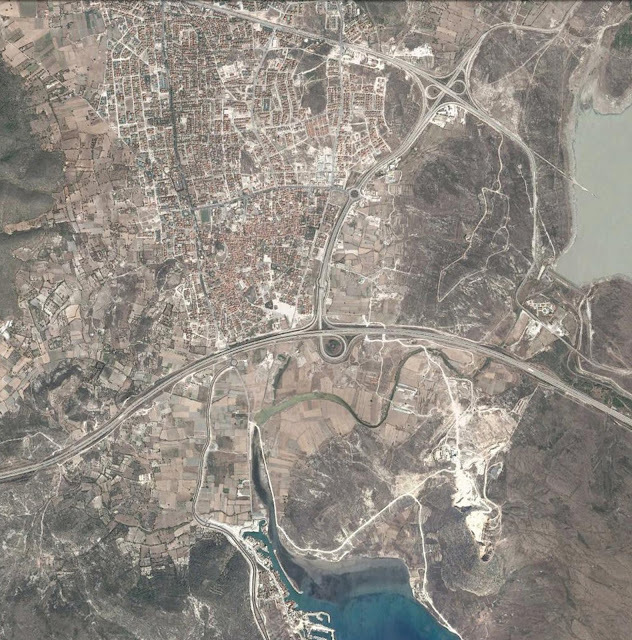 The image of urban pattern visualizes itself that interest and drastic change in the core of Alaçatı. In the core, one is only allowed to build with specific aesthetic codes. 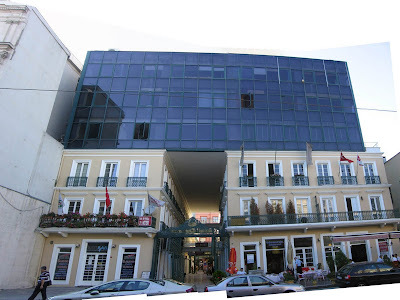 Materials that will be used on the façade and their order are well defined in the building code which is generated from old historic buildings that are exist near by. Even in ancient times, the region where Alaçatı is always well known by its wind regime. When state started to encourage the green energy sector, wind tribune power plants started to become appear and now they are in every angle that your eyes can catch. 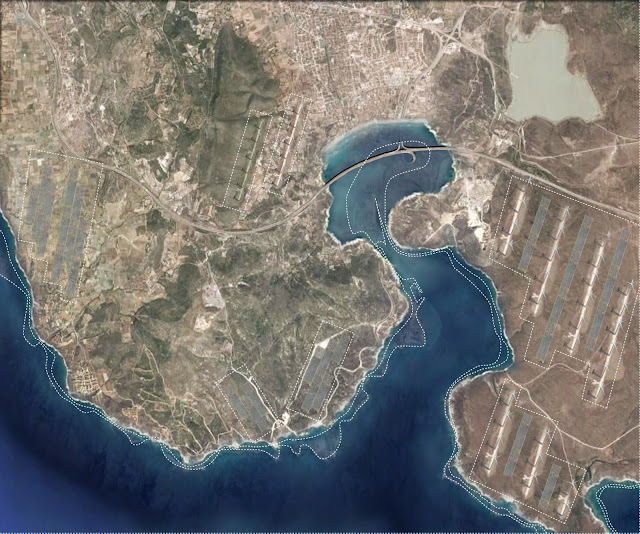 The long regime of day light makes this region also suitable for Photo-Voltaic power plants. This picture of Alaçatı depicts a heaven like "now moment". In summer, that silent holiday resort turns into a bold party town. It creates a big economy and attracts new investors every year although investment budgets they need increases each tourism season. But what will happen if the worse scenario on climate change and rising sea levels occurs? 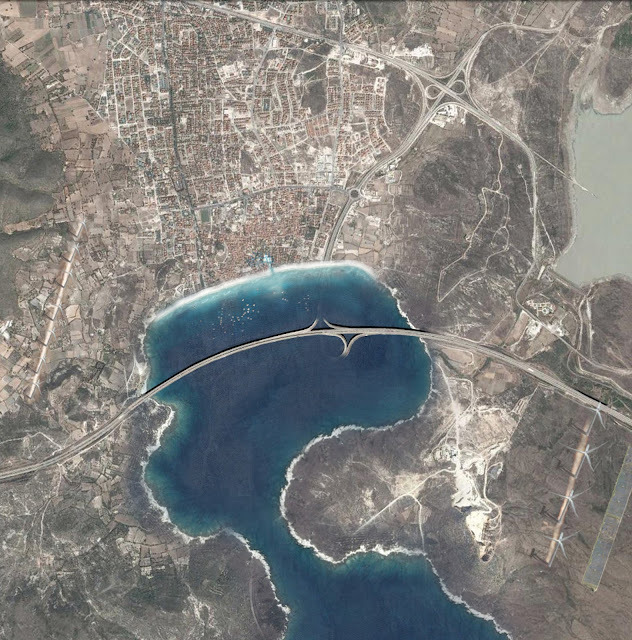 What if Alaçatı needs to deal with a new shore line? We don't think that with extreme situations people experience an enlightenment and change their lifes drastically, because it should already be done in this circumstances that we live in. What we predict is adaptation of driving forces to the new situations and continue from that, in a new neutral state! This prediction is also a description of now. So here we use conceptual images of possible future urban situations as a tool to criticize now existing habits and mentality shaping the world we live in. Nothing will radically change in our mentalities. We will extinct with small modifications in our lives. "Enjoy life while you can. Because if you're lucky it's going to be 20 years before it hits the fan."